We have partnered with Corporate Tax Network to bring you a free “Tax Tips For Your Small Business” live webinar March 19 at 5pm EST. Reviews from past attendees of this webinar have been phenomenal, so you won’t want to miss it! Whether you’re a new business owner or a veteran, and whether you’ve filed your 2012 taxes yet or not, this webinar will serve as a valuable resource for you. This information-packed presentation will outline recent tax law changes for U.S. small businesses; tax strategies and deductions your accountant may have overlooked; filing dates to keep in mind; income shifting strategies to reduce your taxes; bookkeeping tips; and more. 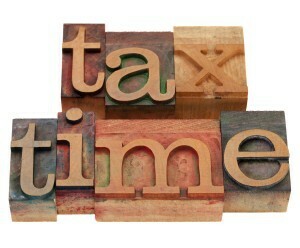 Join us on March 19th at 5pm EST and get your business’ taxes on the right track! To sign up for this webinar, register here. REGISTER TO ATTEND OR TO RECEIVE THE RECORDING: If you’re unable to attend the webinar live, you are still invited to register in order to receive access to a recording of the informational presentation after the event.